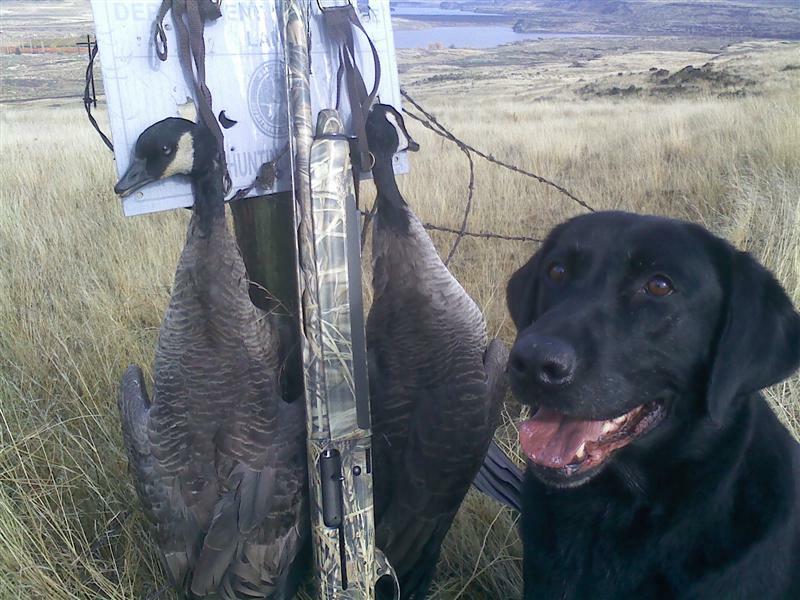 And the general gun dog Harley. You shoot it. He gets it. You miss it. He gives you a dirty look. Nice birds!! Nice country you're in too, where is that? I miss the wide open, with-out trees rolling hills all grassy and visual. Oops! Sorry...Eastern Washington. That's just north of you Suz. Is it? Oh! That could be the Columbia River I guess, tater country, apricots and all. Harley looks pleased but he's not done yet. No...Those are lakes in the background. More like central east Washington. nice pair of honkers. the pooch has reason to look pleased. And I didn't even get out yet this year.